Charlotte, NC – May 21 2018: Nautic Alert is unveiling the most advanced fail-safe, tamper-proof anti-theft yacht system aimed at not only protecting yachts from intruders, but from those with trusted access. Marine finance and insurance companies have a vested interest to ensure their assets remain safe and within certain boundaries, and Nautic Alert XCaliber Anti-Theft delivers. In fact, Nautic Alert Insight X2’s tracker is even being relied on by the US Government for strict enforcement by NOAA with commercial fisheries (Insight pending VMS Type Approval), can save big on recurring air time costs, and packs even more protection for recreational boater. Most products assume that a yacht is vulnerable by an unknown intruder, but in fact, many incidents involve those with trusted access moving or disabling a tracker, taking the yacht to a location where it cannot be easily recovered, then filing an insurance claim. This creates a situation for yacht finance and insurance companies making recovery near impossible and financing more difficult for yacht brokers and OEMs. Other systems locate the tamper switch and backup battery within the user-interface, but this leaves the system vulnerable to malicious users. 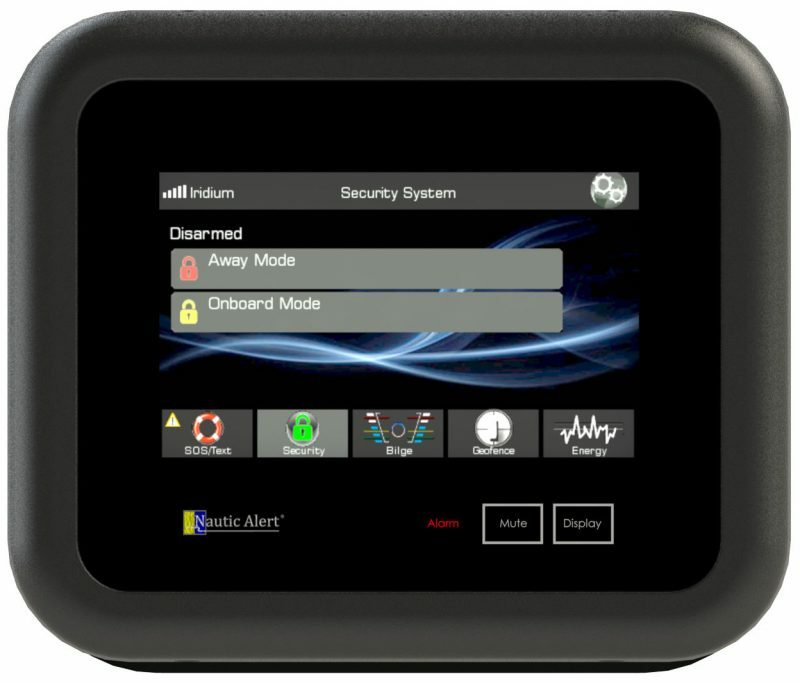 Nautic Alert creates a unique root-of-trust compartment onboard, where anyone attempting to gain access will be detected. This makes it virtually impossible for even an advanced thief to relocate the system without it being detected. Additionally, Nautic Alert’s Cloud Architecture supervises device communications. This additional feature detects if a Nautic Alert Insight has not checked-in in a very short amount of time, making it impossible for the yacht to move very far in the interim if the communications channel has been compromised. SMART geofencing notifies if the yacht exceeds pre-set geographic boundaries. Unlike other solutions, however, these geofence boundaries can not only be easily created graphically on the Nautic Alert MyInsights web portal, but will automatically upload to an Insight device making it fully aware of when a geofence transition occurs so it can notify in real-time. Multiple independent and overlapping boundaries can be created on a map interface with the click of a button. Because of Nautic Alert’s EDGE-based architecture, intelligence is shifted from a land-based server to the device itself. This shift revolutionizes geofencing because it eliminates the majority of monthly data usage due to continuous vessel tracks, which means monthly data charges can be greatly reduced. This design also ensures a transition in or out of a boundary is not missed due to location sampling periods that otherwise send to a land-based server to decide if a transition has occured. Nautic Alert’s XCaliber subscription will notify 3rd parties via SMS, email, and back-office web services when a tamper event is detected, and is discernable from a power-on event. XCaliber also enables webportal access to real-time critical systems data and vessel tracking and customized notifications for thirdpart monitoring. Additionally, the shared VMS tracking core will indicate when a communications or GPS antenna has been removed, and will store and reconstruct vessel tracks upon restoring communications so that verified previous tracks can be determined.